Hello. 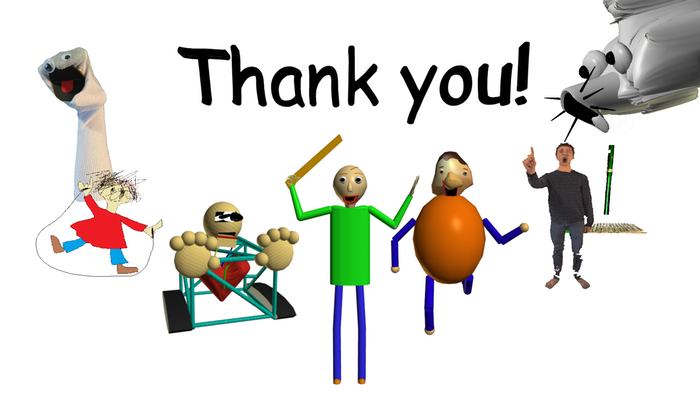 I saw the rating you have put on my Baldi's Basics Birthday Bash mod, and I really appreciate it. If you want to know where the 6th and 7th notebooks are, try checking the VERY long hallway with 2 blue doors. Yes I know. ask youtubers that play it how they downloaded it. OH I know why, it's my device. Cant tell you, long story. I know. it is sostupid how when i downloaded it I could not extract it!!! its not working on windows im so mad!! !